I Want to Be A Shield Agent! Last night, I had the privilege of watching the premiere of “Agents of S.H.I.E.L.D” and I will be the first to admit that I won’t be the most objective of reviewers for this show because, well, I love Marvel, I love Joss Whedon, and I also love shows/movies about superheroes. Before I delve into this show too deep, I just want to say that I think this show quite possibly has the potential to be what “Heroes” almost was, but never quite. Granted, this was only the pilot, BUT, I liked what I saw. I really did and I think this show could do a great job at portraying superheroes without becoming mired in tediousness and utilizing abysmal computer generate graphics. “Agents of S.H.I.E.L.D” occurs after Avengers, which is to say after a group of superheroes defended the earth from an alien invasion. Also, Agent Coulson, played wonderfully well by Clark Gregg, is alive and well and operating with level 7, I believe, clearance meaning that not even the Avengers know that he is alive. In the pilot, Coulson is putting together an elite team to monitor and understand those individuals who are “gifted” amongst humanity. Joining this squad is Agent Grant Ward, a typical loner agent who doesn’t always play by the rules, played by Brett Dalton. Agent May, played by Ming-Na Wen, is also joining the team and appears to have a troubled past that she seems to be haunted and driven by. Agent Fitz and Simmons, played by Iain DeCaestecker and Elizabeth Henstridge, respectfully, are the brains of the bunch, often bouncing ideas off another while simultaneously insulting one another. Skye, played by Chloe Bennet, is a gifted hacker who’s past also seems troubled. 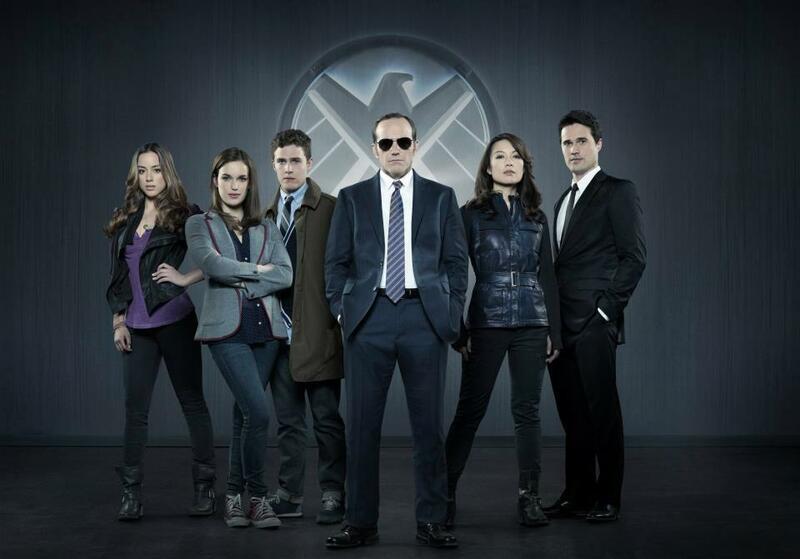 These are the agents of S.H.I.E.L.D. and they are unique in their own way. The pilot focuses on an individual who out of the blue saved the life of a potential burn victim utilizing his super strength. I won’t spoil it for those who have watched the episode, but there is more to this story than meets the eye and not all of it is answered in one episode. The reason I mention this is because the pilot set up the show to have a story arch running throughout this season and possibly the next few. I also mention it because Mike Peterson, the super strong man, played by J. August Richards, gives a moving performance about the problems that humanity faces when gods and giant walk among them. It was reminiscent of the problems faced within “Watchmen” and I was actually quite moved by this speech because, well, how would humanity act if superheroes existed amongst them. No longer was being the President enough, now children would want to fly and become incredibly strong. I also liked how Whedon intertwined “Ironman 3” and “The Avengers”. It was almost as if he knew when he took on the Avengers that he was going to make a television show following S.H.I.E.L.D. The continuation wasn’t awkward or uncomfortable at all; rather it felt natural and appeared to flow in relation to all the other movies. It was also humorous and serious in all the right places and Clark Gregg gives a great performance as Coulson. So, in conclusion, check this show out. You won’t regret it! I promise you!